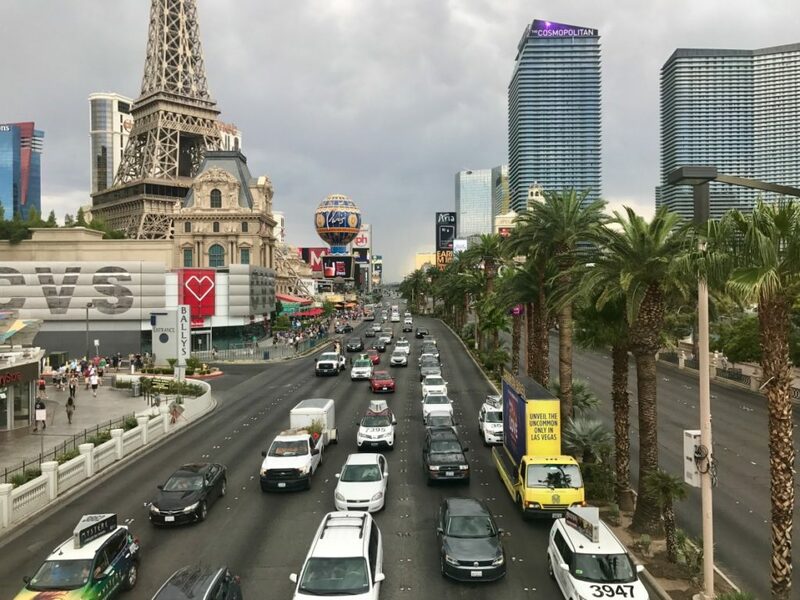 Home » Blog » Family Vacation Destinations » Southwest US Destinations » Should You Visit Las Vegas With Kids? Have you ever considered taking the entire family to Las Vegas? This destination may not stand out as an obvious choice for your next family vacation; however, you might be surprised by the list of family-friendly activities in the area. 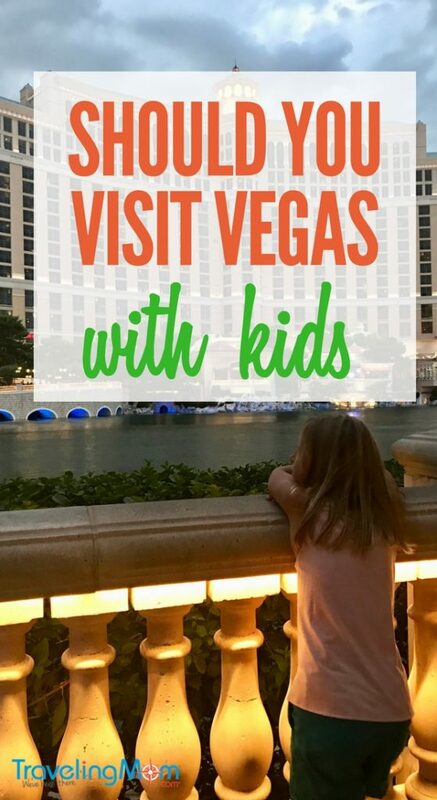 In addition, we share some advice about traveling to “sin city” with kids. Our family recently attending a wedding in Las Vegas, Nevada. I kept asking myself, “Is Vegas with kids a good idea?”. Let’s be honest, the place we refer to as “sin city” was not high on my list of places I wanted to explore with my kids. I had always considered this a girlfriend getaway or couples only destination. It was surprising to find there was actually entertainment that was geared towards families. My kids will forever remember the bright lights and tall buildings. The wow factor is certainly part of what makes Vegas so memorable. I’ll share with you everything I learned on this trip and my new list of dos and don’ts! We’ve all heard of The Bellagio, Wynn Encore, Venetian-Palazzo hotels; they have been featured in movies and are a staple of the area. They’re some of the greatest in Vegas, right? Well, not necessarily if you are traveling with your kids. The best advice I have from our recent trip is to pick the right accommodations. 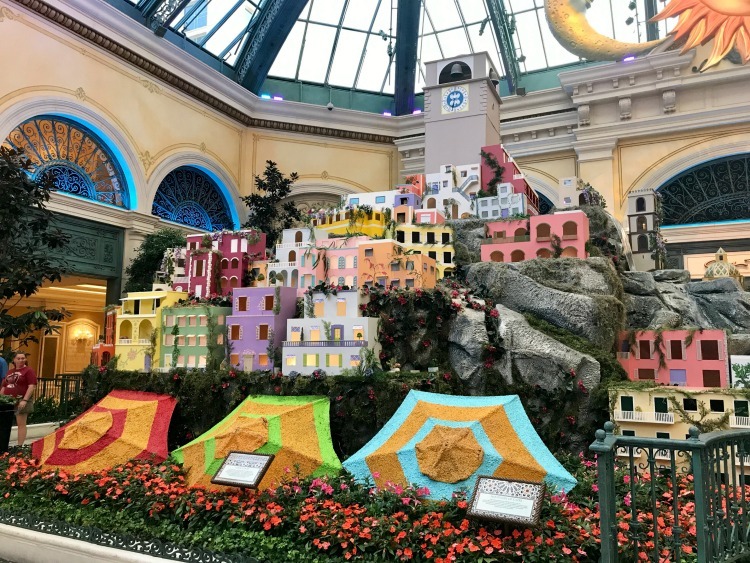 Our family stayed at the Bellagio, and while this hotel was stunning and the fountain show at night was spectacular, I still would have preferred staying someplace that had a kid-friendly focus. 1. The Mirage Hotel & Casino – There is a wide array of kid-friendly activities at this hotel. They are known for the nightly eruptions of the hotel’s signature man-made volcano. 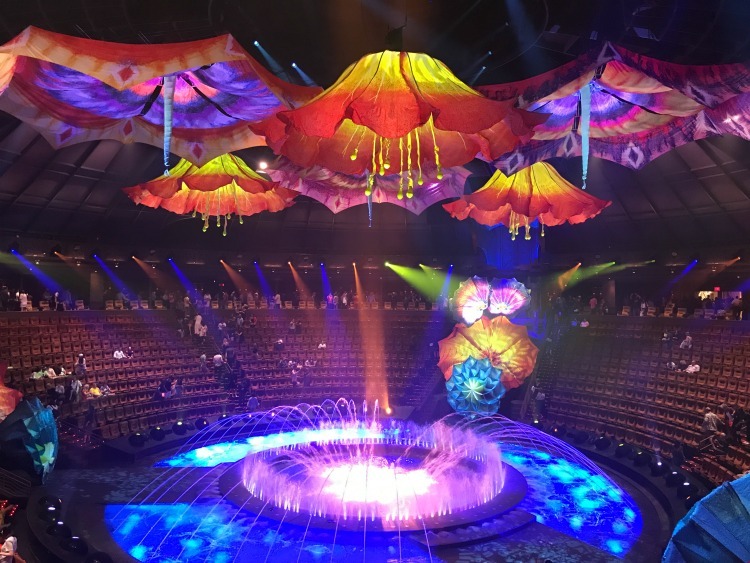 It’s also home to the Siegfried & Roy’s Secret Garden and Dolphin Habitat and shows like Cirque du Soleil. 2. Mandalay Bay Resort & Casio – Shark Reef Aquarium is a must-see! In addition to the awesome aquarium, they have giant pool complex which includes a wave pool and a lazy river. Another thing I noticed was the abundant kid-friendly food options at the hotel’s 20 restaurants. 3. MGM Grand Hotel & Casino – Pools, waterfalls, and river-pools are sure to please any family staying here! They even have a Rainforest Cafe, which is one of my kids’ favorite restaurants. 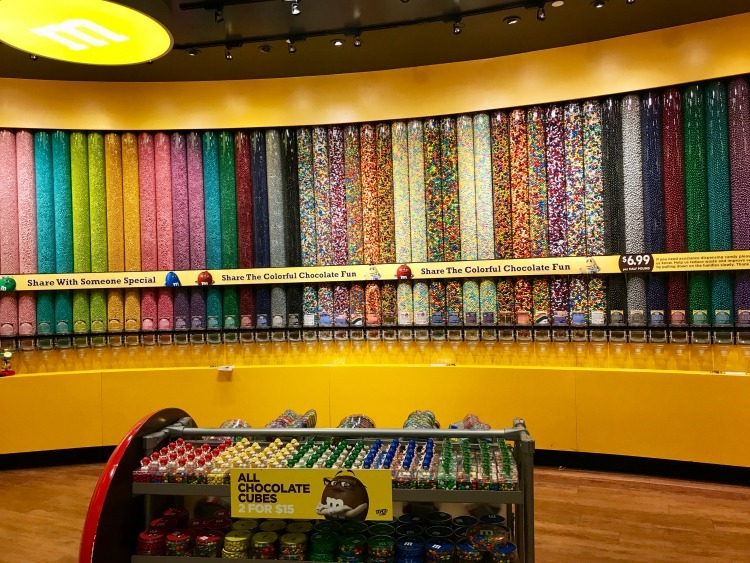 M&M World – My kids loved it! They have different floors, each with something new to see. My kids loved the quick show you could watch with your favorite M&M characters. I must admit, I was elated to try all the different M&M flavors. Who doesn’t love chocolate?! Paris Las Vegas Eiffel Tower – Our kids loved the 460 ft.-high observation deck atop Paris Las Vegas’ half-scale replica of the Eiffel Tower. What a view! 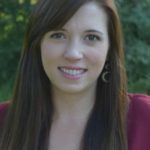 The Shows – You would be surprised at the list of great shows that you can enjoy with your kids. Vegas isn’t known for its PG entertainment options, but they do exist! Tournament of Kings – This is a dinner show and is recommended by one of our TravelingMoms. Roy’s Secret Garden and Dolphin Habitat – This is a zoo like animal sanctuary at the Mirage. A great way to spend the afternoon with the kids. Bellagio Conservatory &amp; Fountains – Our family stayed at the Bellagio and while it’s not the most kid-friendly hotel, the Conservatory and Fountain show were both worth seeing! Shark Reef Aquarium – As mentioned previously, this is a must-see! Its main tank is 1,300,000 US gallons, one of the largest in North America. I would avoid walking the strip after dark. This street becomes a whole new world at night. Every day we would get up early and walk the strip. The Las Vegas nightlife is geared towards adults so when it got dark, my family could be found relaxing in our hotel. Try to plan your activities early in the day. If you are going to see a show at night, take a taxi, avoid walking the streets. It’s best to have your own transportation. 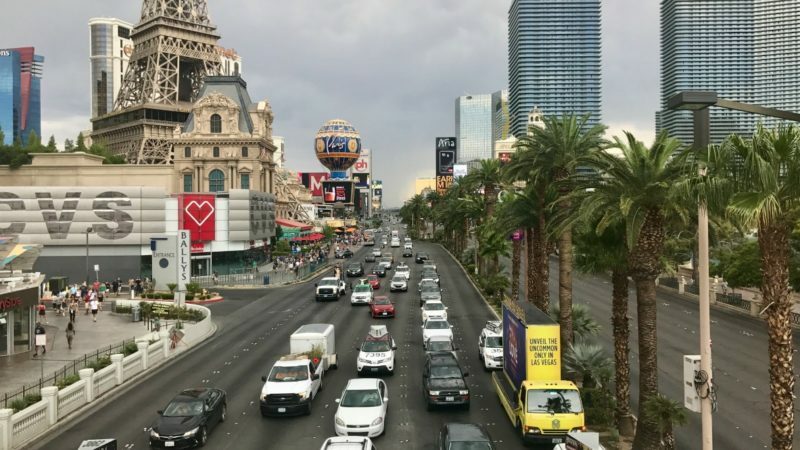 You can expect to pay high prices for food and drinks if you are staying on the strip. CVS pharmacy and McDonald’s were even overpriced! Next time, we will stay off the strip and have our own transportation. The best part of our Vegas trip wasn’t actually Vegas itself. I’m so glad we took the time to rent a car and explore outside of Vegas. Did you know it’s only a 2 1/2 drive to Zion National Park from Las Vegas? The days we spent at Zion were among my most favorite travel memories to date. Read all about our trip to Zion National Park. Hoover Dam is only a 40-minute drive from Las Vegas and therefore a great place to take the kids! You remind me of my shock in my early 20s when I realized las Vegas offered more than the Strip vibe, and that people actually lived there.